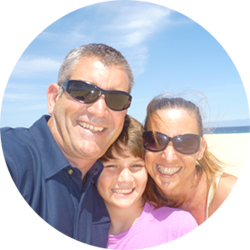 Sail the Canaries is a small, family business run by Clive & Alex Moreham and together with our young Ben, we run our school out of Corralejo in Fuerteventura. Fuerteventura is a stunning island and its literal translation of “Strong Adventure” could not be more true. Fuerteventura offers incredible sailing but also a huge array of other things to do and see. The beaches for one thing are quite stunning! Clive is an RYA Yachtmaster Instructor, Cruising Instructor Trainer and Examiner and has been sailing and teaching in the Canaries for over since 2003. Clive’s passion is sailing! He has an extremely high standard of excellence in his tuition but he also ensures that everyone has fun while learning. There is truly nothing more that Clive loves than being out on the water and passing on his knowledge and passion for the sport! Alex runs the office and simply loves speaking with you, our clients. Alex is here to ensure that everyone is booked on the right course and that every clients wish, worry and need is covered! We bring our joy and enthusiasm to our school and we hope that you will feel our passion and love sailing with us. Ben, our son is an accomplished Stand Up Paddler and is in the water every day either surfing, windsurfing, SUPing or diving – taking full advantage of the Fuerteventura way of life! We want you to feel part of our family business but know that you are receiving the best RYA tuition that you can. We want to give you a great holiday with wonderful sailing. We hope that we can make this such a rewarding experience for you that you will recommend us to your families and friends. If you would like to see photos of our training yacht – including the layout, please see our Facebook gallery.